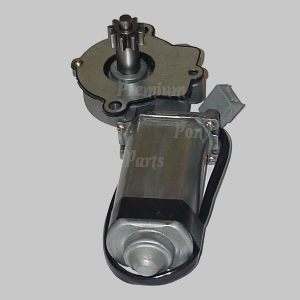 Now by Drake is our 2005 -12 Billet Dead Pedal. Specifically designed to match our Billet aluminum pedal covers. Easily bolts into place. Fits 07-11 GT500 6-Speed Transmission. Drake Muscle Cars GT500 6-Speed Shifter, simply put, is the most advanced shifter of it’s kind on the market. No shortcuts were taken in design and manufacturing so that we could provide you with the ultimate in performance and function. Features include: One piece billet frame and support arm housing, anodized, Spring tension prevents missed shifts by forcing you into 3rd gear, High durometer lever bushings to tighten up shifting, Unique adjustable cam shift stops, Revised pivot ratio for faster throws and quicker shifts, High durometer polyurethane front and rear mount bushings, High alloy heat treated and nickel plated pivot lever, Roller bearing lower shaft pivot bushing, Designed to accept factory lever from 2007-09 GT500 models, includes a lever for 2010 models to utilize the factory shift knob, and Designed with 2 transmission support bars as the factory intended. Fits V6 and GT base models (without aluminum shift knob used in the premium package). Made from simulated carbon fiber vinyl, and includes plastic injection base and boot retainer like original for easy trouble free installation. OEM fit and finish and installs in approximately one hour. 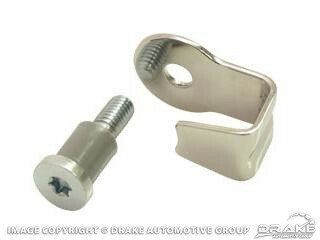 Boot can be used with all Drake shift knobs that include boot retainer. 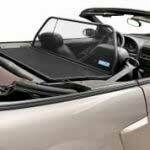 This wind deflector fits Mustang convertibles from 1994 to 2004. It is designed to be used on Mustangs without a lightbar or style bar. Please note: There is also a version custom designed for your Mustang convertible that has a light bar or style bar installed. 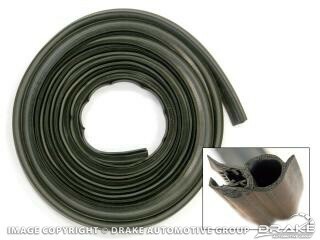 This wind deflector fits Mustang convertibles from 1994-2004 . It is designed to be used on Mustangs without a lightbar or style bar. Please note: There is also a version custom designed for your Mustang convertible that does have a light bar or style bar installed.